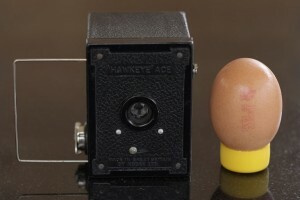 This is the Kodak Hawkeye along side a large egg; not an ostrich egg. The wire frame extending from the left hand side of the camera is the viewfinder. The film size was 127. 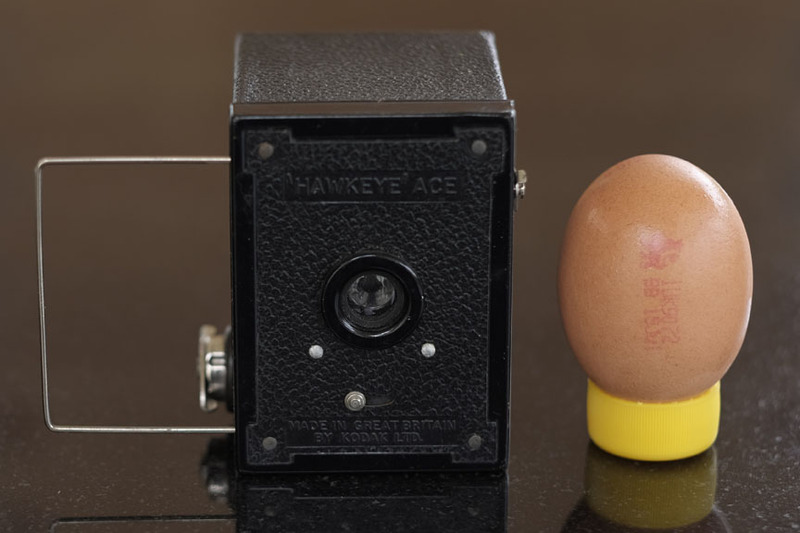 This is the type of camera I first used to make an image. What can I say. My mum said the one I used was in her possession before 1942.